Sandew Hira – Author. Activist. Decolonial Thinker. The legacy of colonialism is an open wound in present-day western society that has different names: racism, Islamophobia, white supremacy, extreme right, etc. 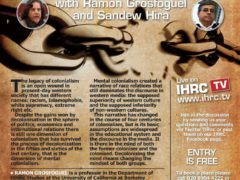 On March 25th, Sandew Hira will join IHRC with Ramon Grosfoguel in London on Decolonising the Mind for IHRCtv. 2010-04 De schaamte voorbij de PVV? On July 20th, 2015 publicist and columnist Sandew of the Surinamese news website Star News, wrote an open letter to the Surinamese President Bouterse who had won the elections on May 25th and had received an absolute majority in parliament. 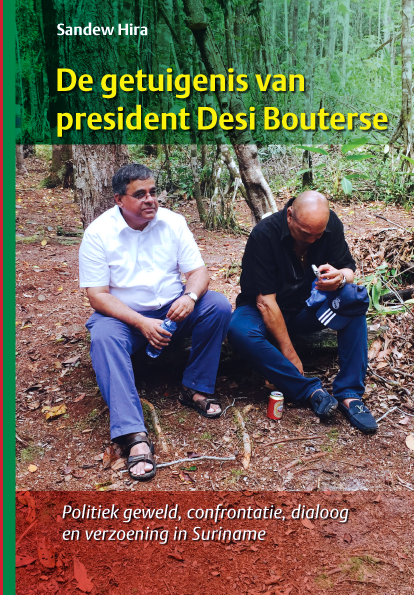 With the title The truth sets us free, he called on Bouterse to testify about the December murders of 1982 and all the events of violence in which the president was involved. On July 25th Bouterse responded positively to this proposal. Since then, a process begun with confrontation, polarization, dialogue and reconciliation. Hira has been involved with this process for over one and a half years. During this lecture Sandew Hira will reflect on his experiences and share his analysis of the process.